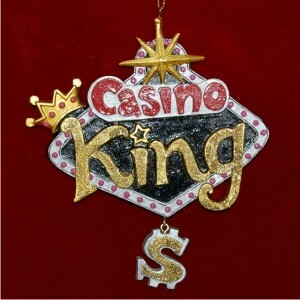 If your guy is "the man" when it comes to gambling, the casino king personalized Christmas ornament is perfect. These large resin Las Vegas ornaments personalized by our lettering artists come with a custom message on the back. Let us know what you want the casino king Christmas ornament to say, and we'll make sure it becomes a lasting keepsake he'll enjoy every year. 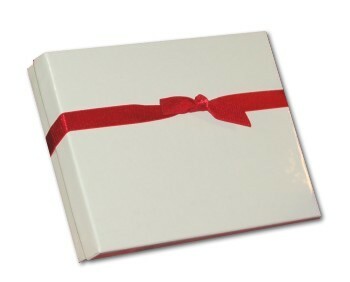 It arrives in a handsome velvet gift pouch with our display cord attached for hanging on the tree, in the man cave or even his car. For high-roller hubby Dec 15, 2014 Pam C.